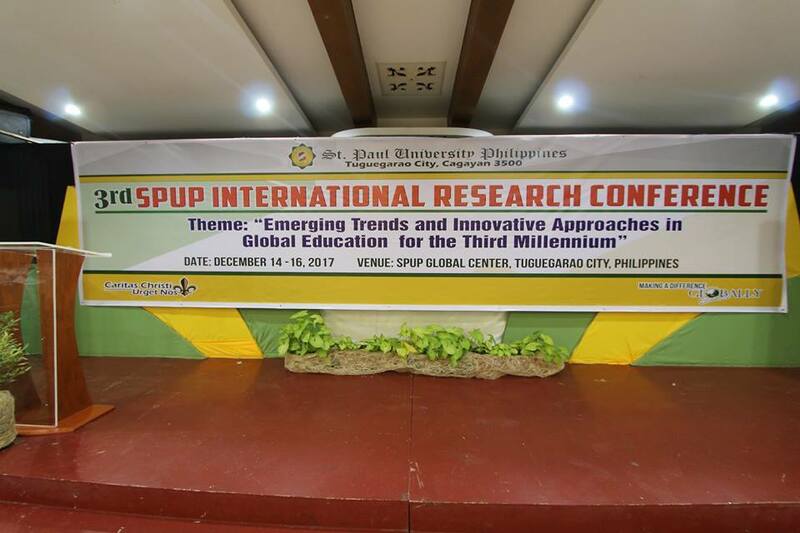 As St. Paul University Philippines adheres to its vision to become a premier global research university, it spearheads for the third time an international research conference (IRC) with the theme, Emerging Trends and Innovative Approaches in Global Education for the Third Millennium.” It takes place on December 14-16, 2017 at SPUP Global Center. Converging more than 200 delegates from all over the Philippines and from Thailand, Indonesia, Timor Leste, Taiwan, Japan and Canada, the conference aims to serve as an avenue for education leaders, researchers, project/program implementers, innovators, and other education specialists to participate in global forum around current innovations, best practices, noteworthy breakthroughs, opportunities and challenges pertinent to global education for the third millennium. In her welcome message, Sr. Merceditas Ang, SPC, SPUP President, reiterated the urgent role of research in the academe and in all aspects of life. She articulated the need to create and transfer knowledge that will have universal relevance and value to people and nation. Likewise, City Mayor Hon. Jefferson Soriano emphasized that it is imperative to continue pursuing further education and undertake research. He shared that equipping the people with the necessary competencies is enabling them to serve their community better. This calls for ‘strengthened network between the local government and educational institutions,’ he added. Two keynote lectures and three concurrent sessions highlighted the first day of the conference. In his talk on Global Health Care for the Third Millenium, Dr. Federico Macaranas, Professor from the Asian Institute of Management and former undersecretary for Economic Affairs capitalized on wise leadership. He asserted that in preparation for the Third Millennium, health sector leaders must possess the abilities to judge goodness, grasp essence of situations, create shared contexts, communicate clearly, exercise political power, and develop practical leaders. Dr. Abdul Malik Iskandar, Chairman of the STKIP Mega Rezky Makassar, Indonesia, spoke about Cross- Cultural Collaboration among Stakeholders. ‘The increase in goal harmony produces more effective collaboration,’ he shared. 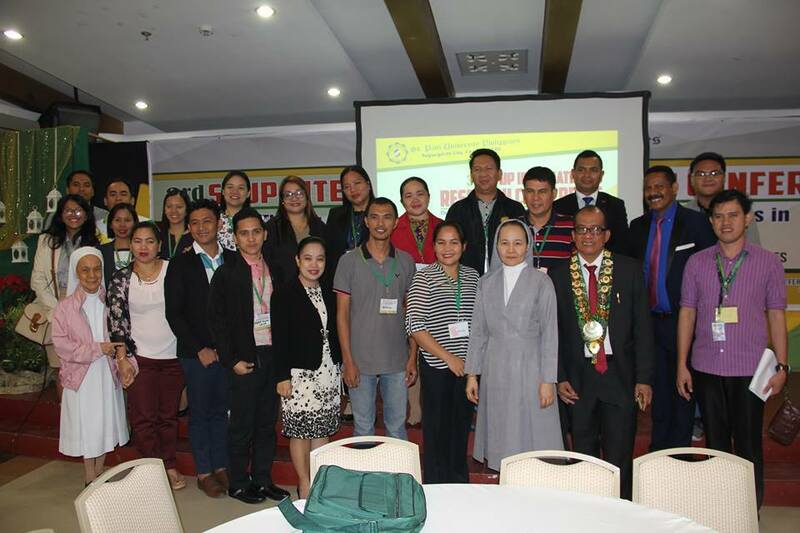 Concurrent sessions centered on health care, internationalization of education, ASEAN integration and intercultural studies, science and information technology, peace education, environmental stewardship, spirituality and humanities, policy and governance, community development, and business and entrepreneurship. A night of festivity where local and international students showcased cultural performances culminated the day. The next two days of the conference feature more researches and lectures by the plenary speakers, Dr. Michel Plaisent, Professor, University of Quebec, Canada and Dr. Ir. Hj. Paristiyanti Nurwardini, Director of Learning, Indonesian Directorate General Indonesian Higher Education. A visit to Piat Basilica and other historical sites of Cagayan and a nature trail in Callao Caves will follow after the closing program on December 16, 2017.